RAVENOL DCT/DSG Fluid is formulated using the very latest synthetic technology, and designed specifically for use in Dual Clutch Transmissions (DCT) and Direct Shift Gearbox (DSG) applications. It allows virtually slip-free operation and thus minimal torque losses, whilst at the same time ensuring very low wear characteristics to prolong component life. Excellent lubricating properties extend throughout the extremes of high and low temperature ranges, and helps promote fuel efficiency. 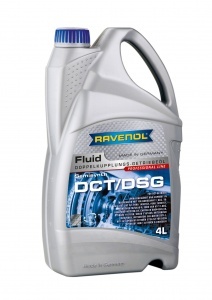 RAVENOL DCT/DSG Fluid has been developed especially for Dual Clutch Transmissions and Direct Shift Gearboxes of several manufacturers such as Volkswagen/ Audi, Ford, Volvo, Chrysler, Dodge, Mitsubishi, Fiat and Peugeot/Citroen. Recommended grade for use in Dual Clutch Gear DQ-250 (02E) and DQ-500 (0BT) acc. to VW Part-No. G 052 182 and DL-501 (0B5) acc. to Volkswagen Part-No. G 052 529 for Volkswagen, Audi, Seat and Skoda. 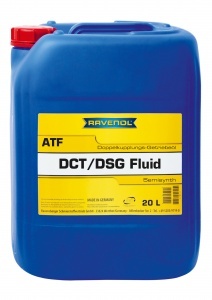 Before filling the gearbox it is advisable to flush with RAVENOL DCT/DSG Fluid before finally filling with RAVENOL DCT/DSG Fluid. Drexler DSG-Gear with Miba-Carbon slats. I can confirm that my car’s gearbox is shifting a lot smoother ever since I received it back. The only work performed on my car was a change of oil and filter. 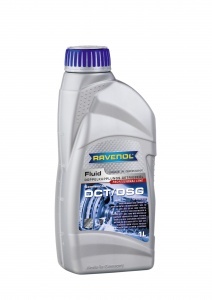 So the Ravenol DCT/DSG oil is definitely of superior quality than whatever Audi fluid was in it. Was looking everywhere for a decent ATF oil for a dual clutch gearbox and came across this. Good product at a decent price, will purchase again.